A safe and easy way to lift and decant drums in the workplace. The manual-lift drum tilter unit provides operators with an ergonomic drum handling solution for low-use applications. As well as the hand pump operated drum handling unit, we can supply electric and pneumatic-lift models, ideal when decanting a large number of drums. The manual hand pump is affixed to the side of the drum tipper. To lift a drum, operators simply pump the drum rotator's handle back and forth which raises the height of the ram rod. 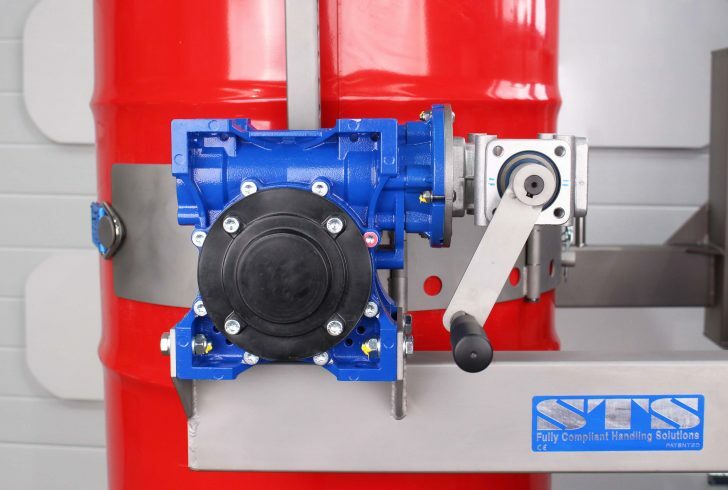 The pump has been designed so that the amount of force required to lift a drum is low and meets all manual handling guidelines. The STS universal band assembly is modular and has been designed to adapt to the contours of any drum. The unique design maximises contact between the band and the drum offering a safe securing system. 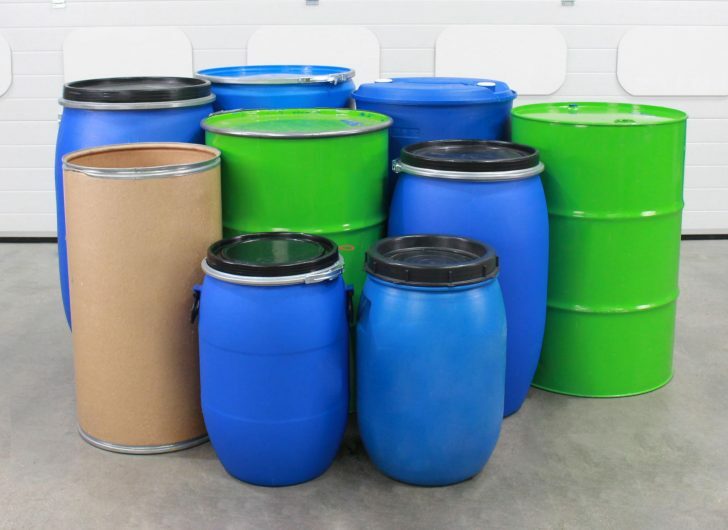 Steel, plastic and fibreboard drums from 50 litres, right up to 220 litres can be handled within the universal band; as such the band is popular among companies using a range of different drums within their process. If your company only uses 200- to 220-litre steel and plastic drums, we can supply a fixed diameter over-centre drum band. Each drum rotator is supplied with a rim-clamp device which connects to the top lip of the drum. 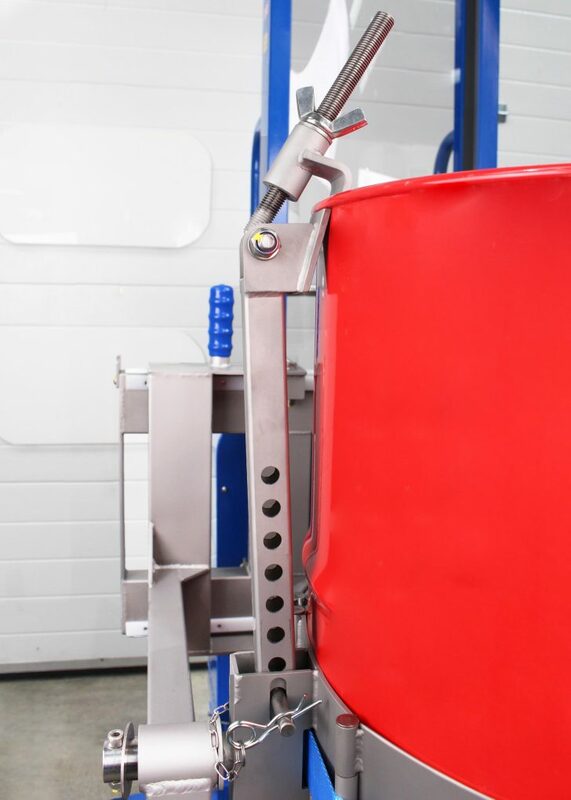 This second level of drum securing prevents any drum slippage within the head assembly; this is particularly useful when handling plastic drums which can often be hard to grip and therefore difficult to handle. Our universal and fixed band assemblies are always supplied with a self-locking rotational gearbox. To make it easy to rotate drums of up to 350kg in weight, the gearbox assembly has a final ratio of 120:1, this also prevents any self rotating of the drum. The drum rotator's gearbox handle can be folded away during transport to prevent it catching on obstructions. The rear wheel steering provides operators with precise and responsive control. Both rear wheels are steerable; traditionally swivel castors have been used on stacker trucks, these generate a lot of resistance during turning are not suited to heavy loads. The STS rear wheel steering assembly is controlled using a tiller, reducing drag and providing greater control over drum handling. This manual drum tipper is compatible with a wide variety of drum types, sizes and materials. For a detailed list of drums, see the drum suitability document by clicking the button below. Over the years we have worked with many clients, supplying them with ATEX drum handling equipment. We understand different processes and as such can make suggestions on how best to handle your flammable/explosive materials. Each manual-hydraulic and pneumatic-hydraulic drum rotator can be supplied ATEX-rated, suitable for use in Zone 1, 2, 21 and 22 environments. Our 'Ex' units are manufactured to ensure electrical continuity and as such each piece of drum handling equipment is supplied with a manufacturer’s EU Declaration of Conformity; this states compliance with the ATEX Directive 2014/34/EU along with all relevant British Standards. 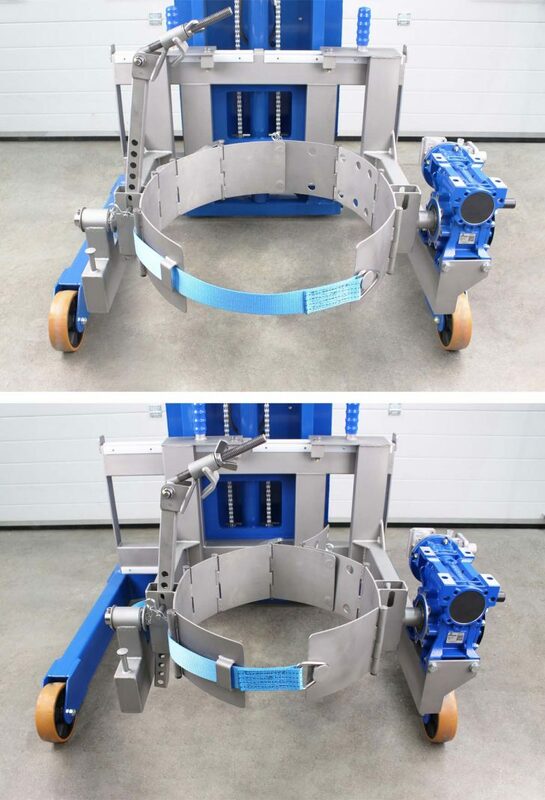 We can offer an ATEX version of this drum rotator model, suitable for use in an ATEX Zone 1 environment and certified to ATEX Directive 2014/34/EU. We can offer each unit in stainless steel, suitable for clean rooms as well as good manufacturing practice (GMP) areas. When machinery integration is critical we can modify leg dimensions of our drum tippers to suit your facility. If you’re only handling 200- to 220-litre steel and plastic drums, our fixed over-centre drum band makes securing drums quicker. If you’re using this drum handling equipment for barrels smaller than 50 litres, we can provide an insert that allows you to lift small containers with the universal drum band. 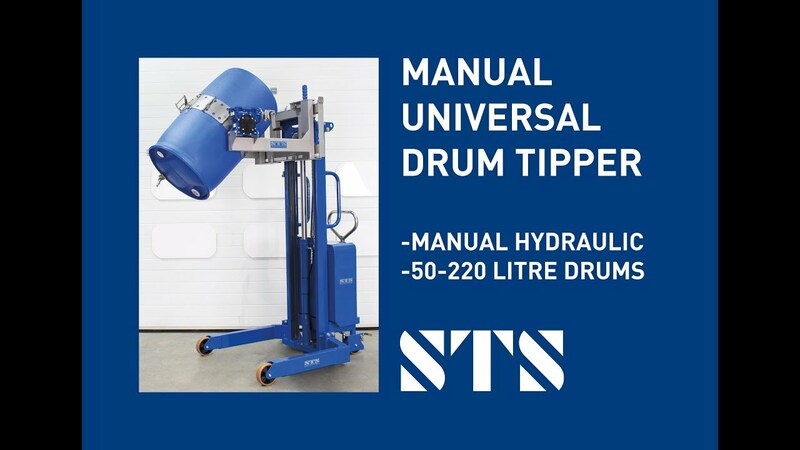 See the full technical specification for our Universal Drum Rotator (Manual) for details such as weight, dimensions and load capacity. View the instruction manual for our Universal Drum Rotator (Manual), which details how to safely operate and maintain the unit.